Thesis I is well underway…so ready or not, it is time to commit to a topic. After much internal debate between two ideas that I’ve thought a lot about since taking Directed Research, one has emerged as the winner. I have decided to work on documenting the Indian diaspora in the U.S. over improving of financial Literacy. Images, words and physical objects can serve as collective memories for people who share common experiences. With the advent of technology, new opportunities arise to document these shared experiences for future generations. One of the most collective experiences in human history is that of migration, or diaspora. The South Asian diaspora from the Indian Subcontinent, which includes India, Pakistan, Bangladesh, Sri Lanka and Nepal, refers to the movement of these countries’ people to the United Kingdom, Europe, United States, Canada, Australia and other countries in Asia, the Middle East and the Caribbean. Within this movement, the largest migration has been the Indian diaspora, which is estimated to be around 30 million people in only the last 100 years. 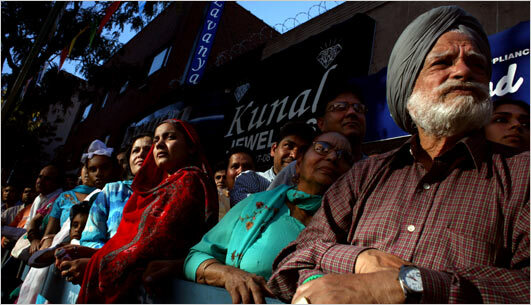 Today, the U.S. has the largest population of Indians outside of India – almost 3.2 million people. The experiences of Indian immigrants in the U.S., as those of any immigrant group in any country, have been shaped by struggles to survive, assimilate and succeed in a new place, while attempting to maintain a connection to their Indian identity. As the diaspora generation in the U.S. ages, it becomes evident that their experiences were unique to their lifetimes. A comprehensive archive of their history does not exist and so, it runs the risk of becoming diluted with time. For future descendants, such an archive would provide a rich insight into their ancestors’ changing experiences as time went by. Ideally, it would spark a dialogue on the role of history in the creation of Indian American identities and communities in the U.S. And most importantly, it would ensure that the stories of the Indian diaspora are preserved for future generations. Today, a significant opportunity exists to harness digital and social media to create a participatory archive using text, images and multimedia.